Dear Vampa | What is ML Reading? ML decided months ago she wanted to be a vampire. We bought a black dress for the occasion. 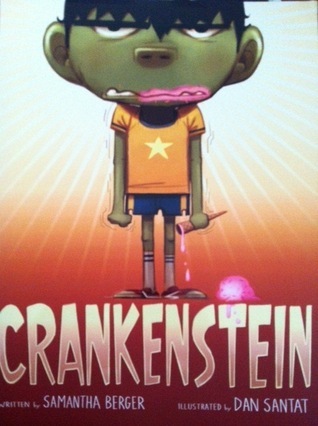 Recently, we’ve read several vampire picture books. The books reminded us she needed a cape, fangs and bright red lipstick. They have been purchased and are ready for Friday night. Below are our favorite vampire picture books. Plus a bonus for parents of toddlers. 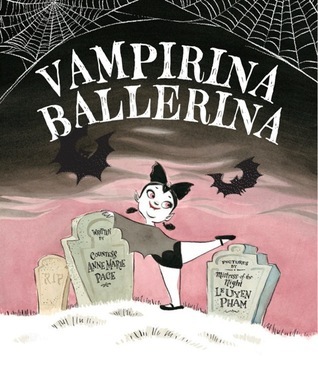 Vampirina Ballerina written by Countess Anne Marie Pace and pictures by Mistress of the Night LeUyen Pham – ML loved the illustration of Vamperina demonstrating her plies and arabesques to all the creatures in her house… a ghost, Frankenstein, a mummy and more. 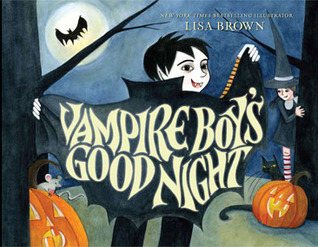 Vampire Boy’s Good Night by Lisa Brown – ML found the illustration featuring two legs with black and white tights and ruby red slippers sticking out from under a house hilarious. We saw The Wizard of Oz Broadway play last year; so ML fully appreciated the reference. Dear Vampa by Ross Collins – “A young vampire writes a letter to his grandfather bemoaning his new neighbors.” The vampires decide to sell their house. ML and I howled when we saw who bought the house. Here’s a hint about the buyers. On the full moon, they’ll be howling too. 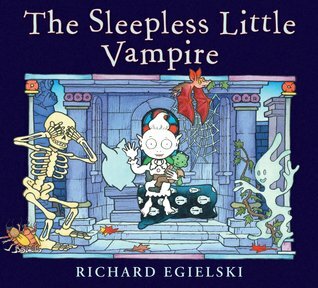 The Sleepless Little Vampire by Richard Egielski – Why isn’t the little vampire sleeping. Is it the noisy creatures around? Spiders, bats, cockroaches and more? Of course not. He’s waiting for the sun to rise. Hampire! 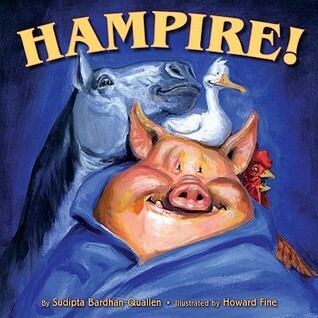 by Sudipta Bardhan-Quallen and illustrated by Howard Fine – Who is this vampire and what does it eat? Not your average vampire book. 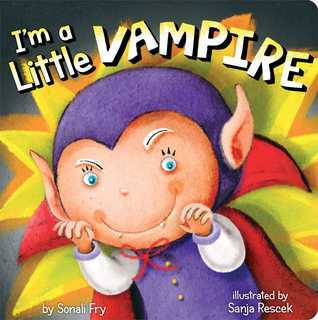 I’m a Little Vampire by Sonali Fry and illustrated by Sanja Rescek – It’s a board book so ML wouldn’t let me read it stating, “That’s for babies.” But it’s so adorable I had to include it for those of you with toddlers. None of these books are about Halloween. But they are perfect stories to read in October. 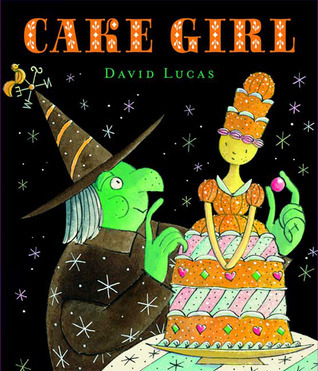 Cake Girl by David Lucas – Witch is alone on her birthday so she bakes a cake girl. Then, demands it sing, dance and clean her house. Witch tells Cake Girl she will eat her after she finishes all the chores. Cake Girl sets a plan in motion to save herself. She teaches Witch how to be nice, resulting in a magical friendship with Cake Girl. Or is it Cake Princess? Or Cake Cat? It’s hard to know. 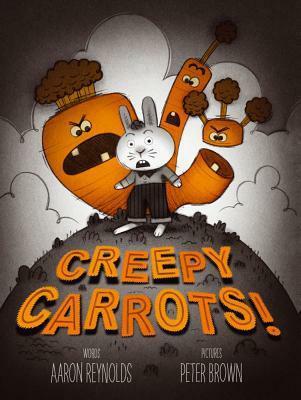 Creepy Carrots by Aaron Reynolds – Jasper Rabbit loves to eat carrots, but he keeps seeing creepy carrots coming after him. No one else in his family sees them. Is he paranoid or is something else going on? 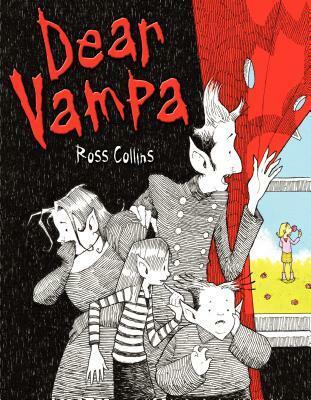 Dear Vampa by Ross Collins – The Pire family has new neighbors, the Wolfsons. They stay up all day, sleep at night, love sunshine and have an unpleasant pet. It gets so bad the Pire family moves to Transylvania. There’s a great twist at the end. The Wolfsons have a secret. They’re not what they appear. Enjoy these books in October and all year long.